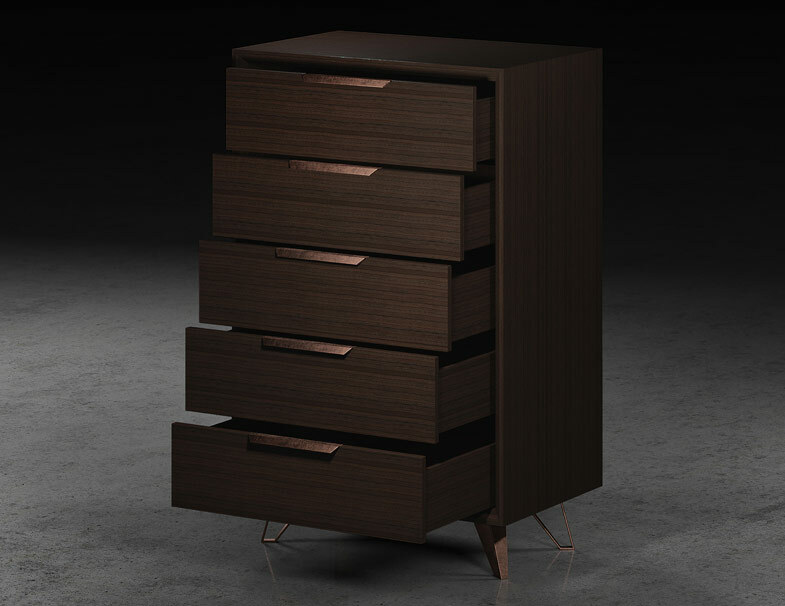 The Grand Tallboy Dresser stands just over four feet tall, and packs plenty of space into its five fully-extending and soft-closing drawers. 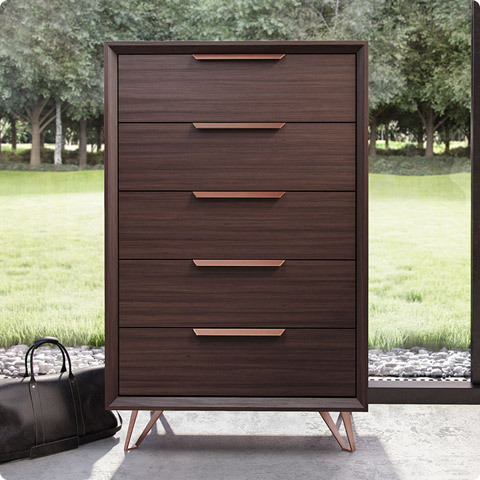 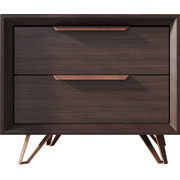 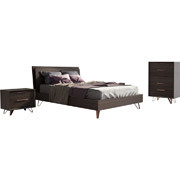 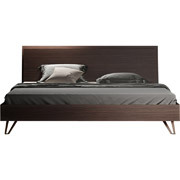 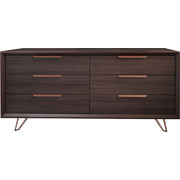 Clad entirely in an espresso oiled veneer and accented with anodized copper drawer pulls and angled legs, this piece makes storing your urban wardrobe a work of art. 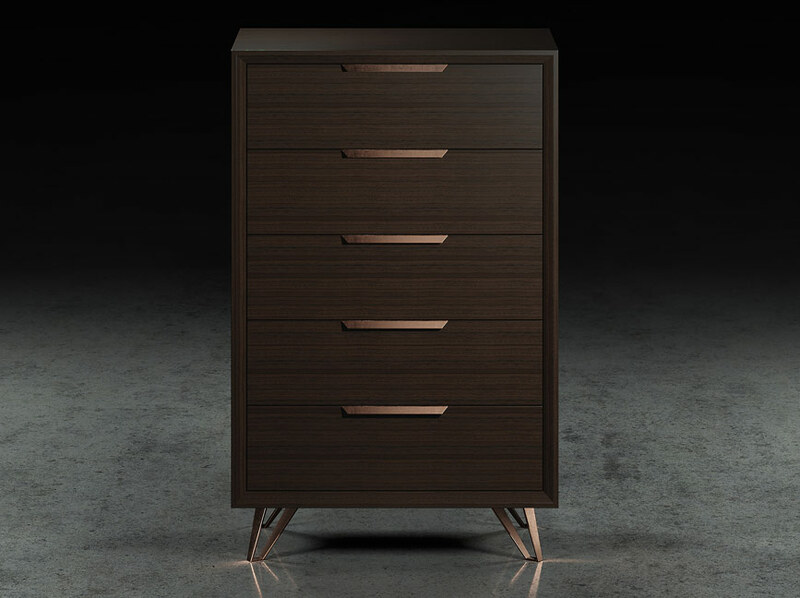 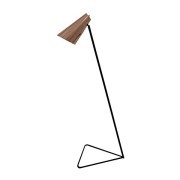 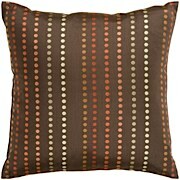 Available in Espresso wood veneer with copper accents. Shop the entire Grand Collection.